We all have Smartphone and we use the Internet via Mobile Data or Wifi. If you are using your friend’s wifi and your Device is connected to it, then you can easily view saved wifi password on your phone. So, in this Article, I’m going to Share How To View Saved Wifi Password On Android Without Root. There are many methods to find saved wifi password android and it is not as much difficult as people think. Though it becomes somewhat difficult to see connected wifi password without root, it’s much easier to view saved password with root. But, as the Topic Suggests, I’m going to share the method in which you can easily find wifi password without root on Android Phones. There are many Cool Wifi Names and Unique Wifi Passwords, and if you have saved any Wifi Password on your Phone, then you can get it with this method. There are many App On Play Store like Wifi Password Viewer, Wifi Password Viewer For Android, Wifi Key Recovery Without Root, Wifi Password Finder, etc. But, to use these Apps, you need to Root Your Phone. So, the method I’m going to Share here, you don’t need Root Access for that. 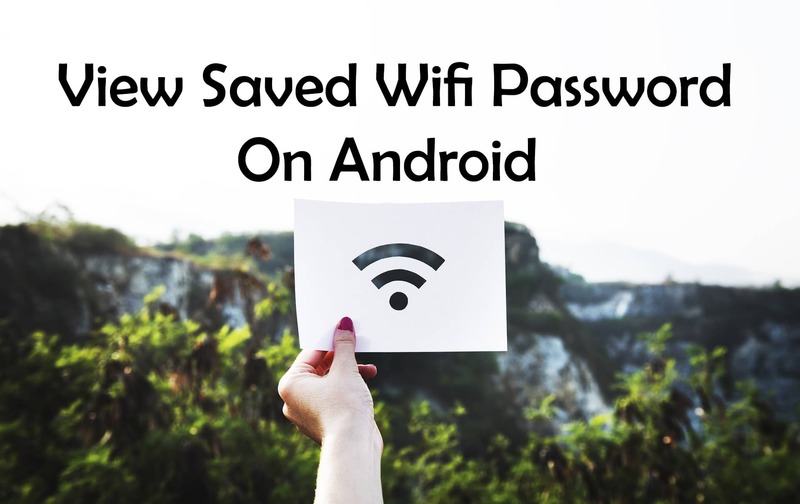 There are many reasons to Know Saved Wifi Password like if you have forgotten your own Password and want to Recover Wifi Password On Android OR You have connected to your Friends Wifi and want to know the password or any other reason. 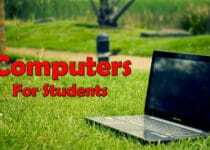 Though there are many Methods to Check Saved Wifi Password On Android Without Root, here I’m going to Share 3 Working Methods On How To Know Connected Wifi Password In Mobile. So, without wasting more time, let’s proceed further and check out How To See Saved Wifi Password On Android Without Root. It is not difficult to Access Saved Wifi Password On Your Android Phone, but when it comes to without root, it becomes somewhat difficult. If your Device is Rooted, then you can easily Check Saved Wifi Password On Android. There are tons of Apps available on Play Store and Play Store Alternative to Check Saved Wifi Password. So, here we are going to share Three working methods to View Saved Wifi Password On Android Smartphone Without Root. Step 3: Now, use any Browser and type above IP Address in URL or if you have used the App, you will be directly land on the Login Page. Step 4: Enter The User Name & Password which I’ve provided below. Step 5: Go to Settings Or Wireless Settings Option. Step 6: There you will be able to see the Wifi Password easily. NOTE: Different Router has different User Interface. So, you simply need to Find Wireless Settings Option where you will be able to get your Wifi Password. Step 3: On the Main Screen, you will be able to see the list of available Wifi Networks with Green & Red Signal. Where in Green Signal, it is easier to Get Password. Step 5: Now Select No Root Option from the pop-up. Step 6: Once connected to the Wifi, Simply follow the above method to Show Wifi Password Without Root. Nowadays, technology has grown so much and we get many advanced features than earlier. In some of the Smartphone device like Xiaomi, you can find a Sharing Wifi Option. 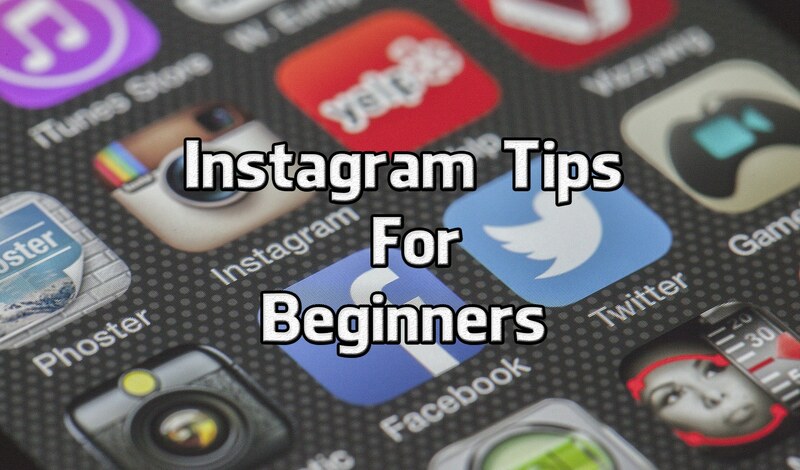 Step 1: Make sure you are Connected to the Wifi Network. 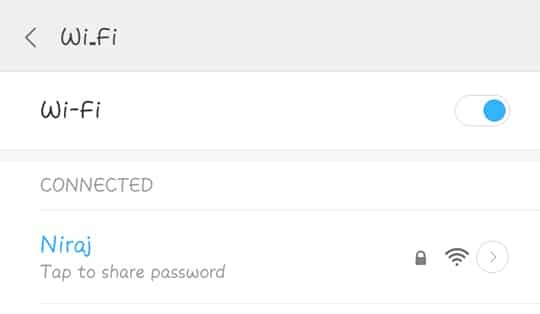 Step 3: You can find the “Tap To Share Password” Option below the connected Wifi Network. 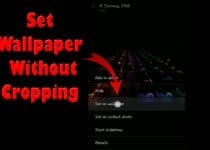 Step 4: Simply, Tap on it. Step 5: You will get a QR Code on your Screen. Step 6: Take another phone and Scan the QR Code to Get Connected to the Wifi & Know the Wifi Password. If you don’t have another phone, simply take a Screenshot of QR Code and transfer it to your PC and then Scan it with QR Code Reader App. After Scanning the QR Code, you can find the Wifi Password and Connect to Wifi Option on your Smartphone. This was the Article On How To View Saved Wifi Password On Android Without Root. 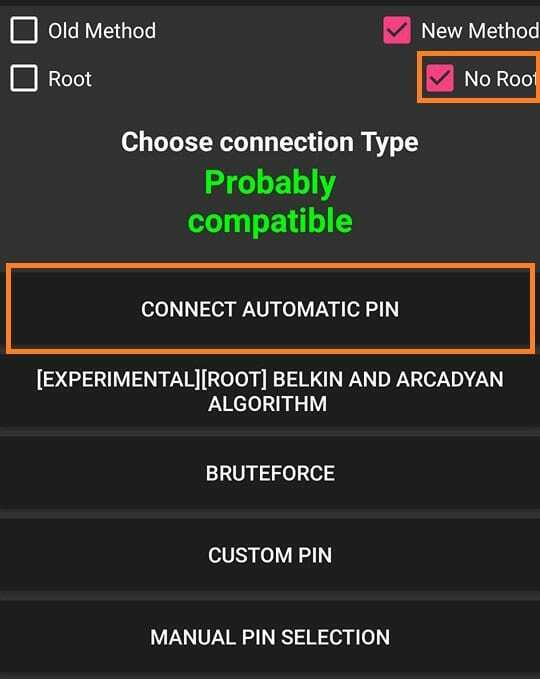 There are many methods for Rooted Phones to Get Saved Wifi Password On Your Phone but there are only a few methods for Unrooted Phones. So, here I’ve shared the Three Working Methods to View Wifi Password On Android. You can use any of the methods to Recover Forgotten Wifi Password. Personally, I like the first method which is easy and reliable. You just need to Login to the Router Page and you will find the Wifi Password. Hope you liked this Article On How To View Saved Wifi Password On Android Without Root. Do Comment below if you have any query. Stay tuned with us for more latest Tricks & Updates.